Earn $8.39 in Rewards credit. Click to learn more. 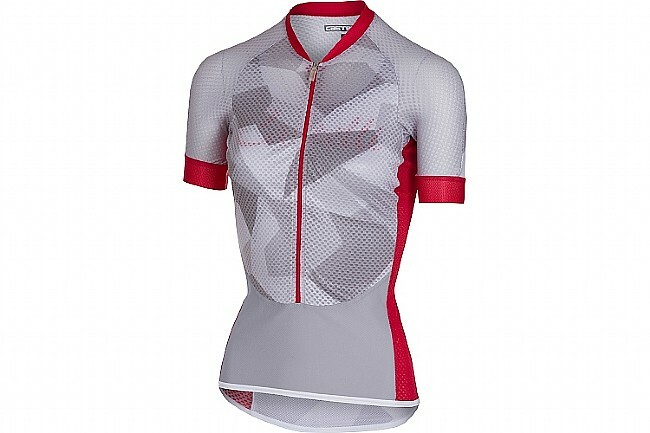 Stay cool on your quest to crush the mountain with Castelli's Climber's Jersey. 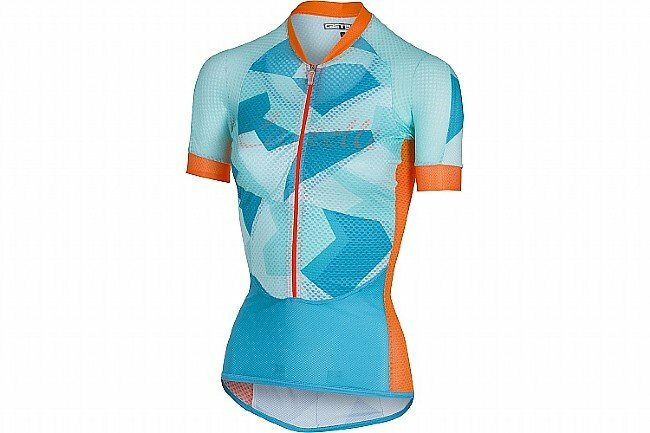 This technical jersey was designed to make climbing easier, but turned out to be an incredibly versatile piece that finds use in all terrains and seasons. 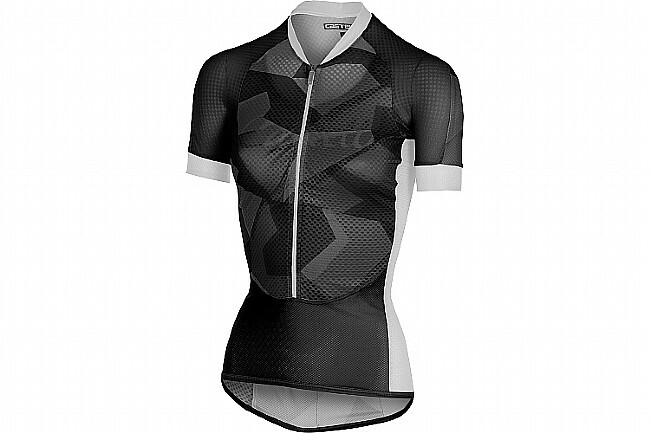 Featuring Castelli's Flusso 3D fabric on the front and shoulders, this incredibly lightweight fabric transfers moisture away from the skin and into the air rapidly and effectively for optimal cooling. A rear StradaPro 3D panel adds in support and houses the three rear pockets, while also adding in UPF 16 protection. A functional 3/4-length zipper adds in on-the-go adjustability, while an internal bustier liner keeps things modest.